Black Math makes cool stuff that usually relates to advertising. The primary goal for this space was to create an open environment that promotes interaction among the numerous teams. A seamless and continuous flow around a central core (gathering space) allows the evolving teams to work as an integrated cohesive whole. Work flow allows for formal and casual interaction between the executives, creatives and production staff. 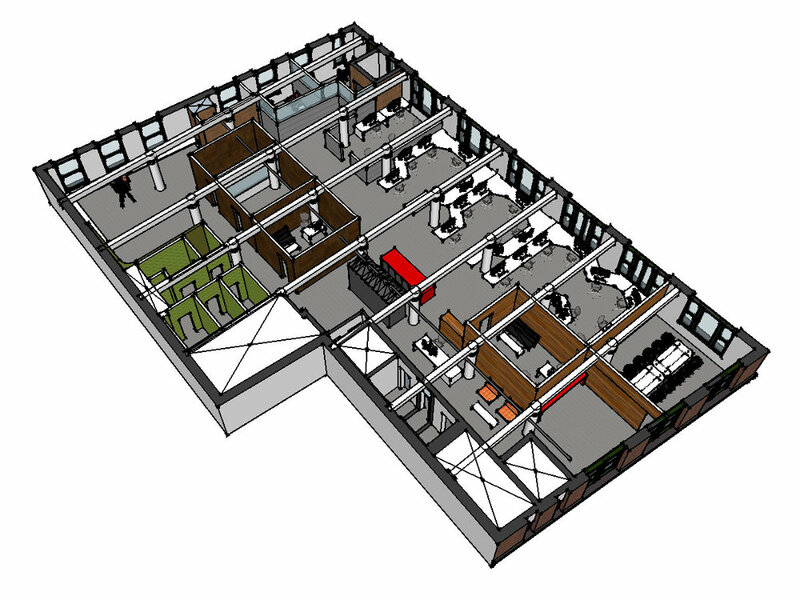 8,000 SF interior construction; recording studio, video production, green screen, prop fabrication area, edit/color suites, flexible conference rooms, open office area, kitchen, reception and bathrooms.